Rock for Learning cheers for Seal! Watch SEAL's new video "A Change is Gonna Come" from his newest record SOUL, a set of twelve classic soul songs, including "Stand By Me" and "People Get Ready", that each evokes their own drama, emotion and romance, created in partnership with legendary producer David Foster. See the video, and get his latest records SOUL and newest originals from SYSTEM (rel. 2007) available now at Seal.com. Seal is a supporter of ChildHelp.org for prevention and treatment of child abuse. Learn more about it click into ChildHelpUSA.org. To take one step in the right direction where love leads begins the path of great journeys. Heaven knows there are some times in life when one has to be just a little bit crazy to begin with and to survive, and that's how Seal begins with his original classic, "CRAZY". Singing to a fully packed House of Blues-Sunset crowd of friends, fans, and loved ones under a menagerie of spiritual symbols of all religions and a sign that says, "ALL ARE ONE", Seal's performance captivated his audience. His bandmates added to the brilliant and powerful energy behind his music. 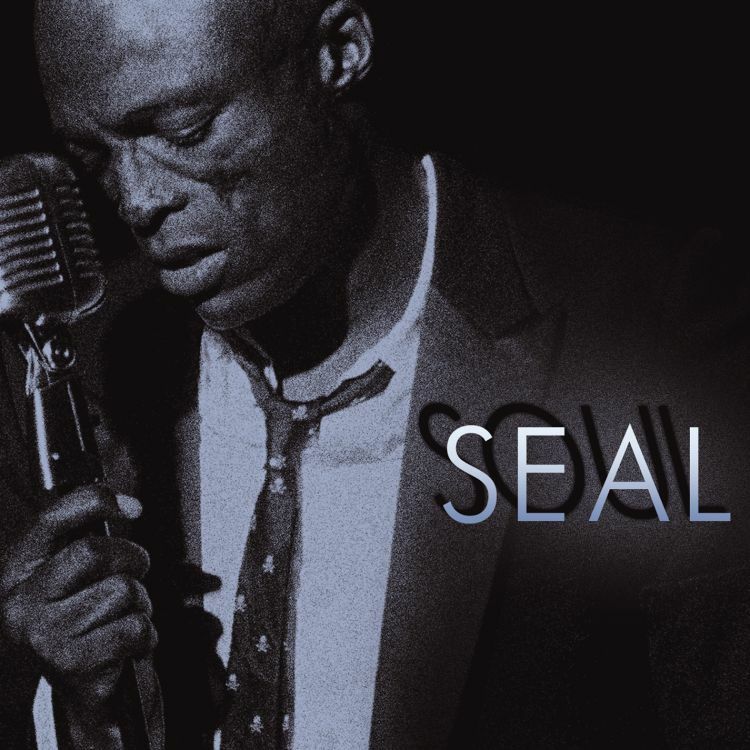 A man with heartfelt soulful feelings and a beautiful voice of love at its finest, Seal sings songs of love. "Love - What else is there to write about." says Seal as an introduction to one of his newest songs "LOVE'S DIVINE". The resonance of his crooning reached to the depths of inner being where love begins and reigns like a secret passage to the soul that penetrates through the darkness and makes way for love's expression and light to shine. Cheers to the power, the pleasure, the pain, and the blessing to know his name - all of which would not be if not for love! His set included songs from 14 years and four CDs of his music career, including the new one I'd been waiting for all these years "WAITING FOR YOU", plus "GET IT TOGETHER", "METAPHORS", "KILLER", "JUST LIKE YOU SAID", PRAYER FOR THE DYING", "KISS FROM A ROSE", and more. Seal's newest, SEAL IV, was released as a CD/DVD set on April 20th and he's on tour in the US promoting it. [CLICK HERE FOR TOUR DETAILS] A portion of proceeds from ticket sales on tour will be donated to Childhelp USA* for the treatment and prevention of child abuse and neglect. With an encore, he came back with a solo acoustic performance of "DON'T CRY" in memory and honor of love and old friends, as my tears were falling down like hail because I knew... We were all just a little bit crazy to begin with. And when it comes to taking a step in the direction of love, Seal declares it well: "Don't wait until tomorrow..."
SEAL photograph posted/printed by permission of Warner Bros. Records. SEE THE OFFICIAL SEAL WEBSITE FOR TOUR DETAILS, NEW MUSIC, MERCHANDISE, & MORE - Click here. * CHILDHELP USA is one of the oldest and largest national non profits dedicated to the treatment and prevention of child abuse and neglect. The organization's programs provide for the physical, emotional, spiritual, and educational needs of abused and neglected children. 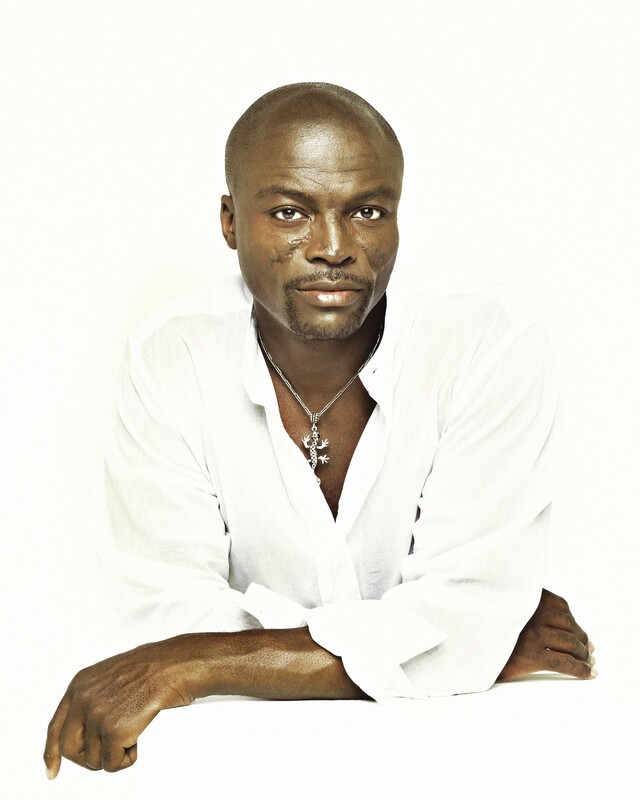 A share of proceeds from Seal's 2004 US tour will be donated to Childhelp USA.